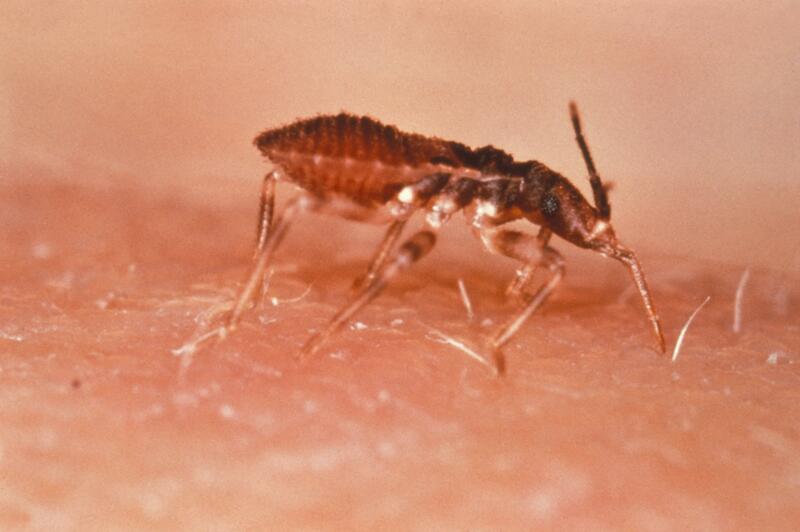 Chagas disease is an illness spread by a parasite called Trypanoma cruzi, which enters human bodies through the bites of Triatoma insects. In this way, Triatoma is a disease vector for human Chagas disease. It affects millions of people throughout Central and South America and can lead to eventual nervous and cardiac symptoms, and ultimately death. Even without death, the management of chronic Chagas disease is a significant public health burden. The easiest way to minimize the impact of disease is to prevent it from occurring. Authorities in Guatemala, an area where Chagas disease is widespread, adopted this stance. A paper recently published in PLOS Neglected Tropical Diseases by Juarez and colleagues describes the process, successes, and challenges of Chagas vector control (focusing on control of Triatoma species) in Comapa, Guatemala (Figure 2) over its now decade of existence. Figure 2 from Juarez et al., 2018, showing the geographic area of focus for the paper. This is one of the areas of Guatemala in which the burden of Chagas disease has not decreased as much as other areas of the country. Specifically, this image shows selected communities of Comapa, Jutiapa, Guatemala, for the entomological surveys of 2001, 2007 and 2011. A) Location of Guatemala relative to Mesoamerica. B) Location of the municipality of Comapa, Jutiapa relative to Guatemala. The communities are represented by circles with red (2001), brown (2007) and gray (2011). The map was developed using QGis 2.18 with publicly available administrative boundaries. Figure 1 from Juarez et al., 2018. Key stakeholders and activities carried out during the last 16-years of the National Chagas Disease vector control program in Comapa, Jutiapa [12,14,30,17,18,24–29]. The green boxes show the time points of data collection and activities from 1999 till 2015. Yellow boxes show key stakeholders and pink boxes show additional vector control interventions during 2007 to 2015. MSPAS: Ministerio de Salud Publica y Asistencia Social. CES/UVG: Centro de Estudios en Salud de la Universidad del Valle de Guatemala. JICA: Japanese International Cooperative Agency. The program – beginning with crucial baseline data collection – has been a partnership since its inception, with the Guatemalan Ministry of Public Health and Social Assistance (MSPAS) taking a leading role in most phases. Other stakeholders at different phases were universities (CES/UVG), international aid agencies (JICA), other non-governmental organizations and the local communities themselves. They key part of the overall control strategy was repeated rounds of indoor residual insecticide spraying (IRS). There is clear evidence that this strategy, proven elsewhere, also reduced overall Chagas burden in Guatemala. It is estimated that this strategy reduced Chagas disease by 94%, with Chagas-positive schoolchildren now less than 2% of the age-group population – where previously the disease was very widespread and endemic. Such partnerships of stakeholders clearly invested in the goal (as evidenced by being part of the project for over a decade) is what is ultimately necessary for successful disease vector control projects. Each type of stakeholder – governmental, academia, non-governmental – brings its own strengths, and their synergy and complementary balance can help alleviate the hurdles that each type of stakeholder would face acting alone. This doesn’t mean that success for this type of partnership in universal or guaranteed, as shown by the relatively high burden of Chagas disease in Comapa. While the Chagas burden in this area has decreased significantly, that decrease is less than in other parts of the country. Here, it seems that the IRS does not maintain its effectiveness, allowing the Triatoma population to rebound. Further, many people in the region still seem to not be fully informed about Chagas prevention methods, as they still engage in behavior that increases the risk of Chagas infection. Examples of this include building homes with materials and techniques that encourage Triatoma-human interaction. Lastly, in this region, women of child-bearing age are still positive for Chagas disease and the Trypanoma parasite that causes it. Thus, to truly meet the goals of the vector control program, particularly in areas where it appears to be less effective, more directed screenings (of pregnant or child-bearing-age women), education campaigns, and (if possible) different methods of insect control may be required.